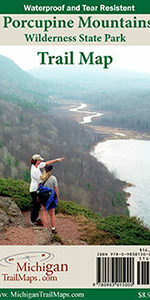 The most common request that MichiganTrailMaps.com received the past few years is for waterproof maps. 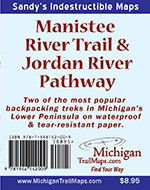 We’re excited to officially introduce our first waterproof and tear-resistant map, covering our two most popular trails, the Manistee River Trail and the Jordan Valley Pathway! We set out to conduct thorough field research of the two trails to give you the most accurate waterproof map. Trail updates in this map include a major reroute of the Jordan Valley Pathway and additional walk-in campsites on the Manistee River Trail. Then we added additional information, from contour lines to forest roads and two-tracks in the area, and finally sent it off to the printers. 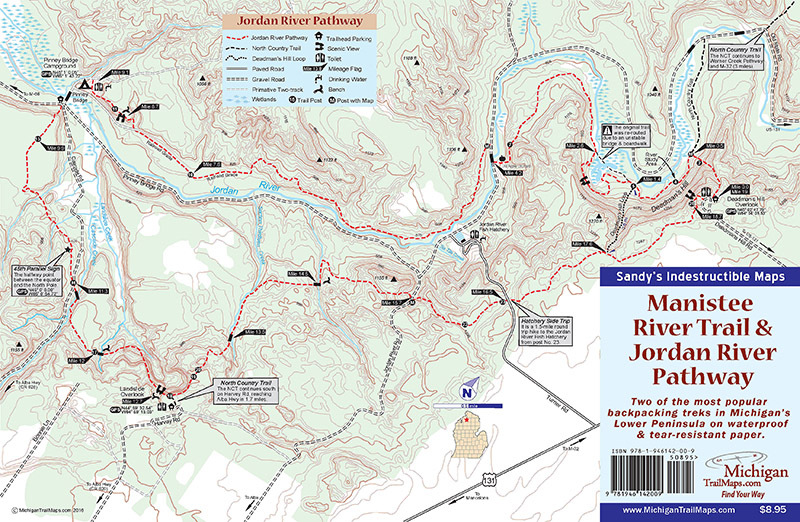 The finished product features a great trail on each side of a 17 by 11-inch map, printed on waterproof and tear-resistant paper that will still be usable even if you accidently drop it in the Jordan River. Best of all is the price! Ordering the standard cardstock versions of these trails costs $9.90, while our new waterproof map of the two trails is only $8.95!